Timberjack, 1971. L to R; Steve McDonald, Frits Stigter, John Donoghue, Stu Johnstone. The audience attending Timberjack's 1971 NZ debut at 's Ali Baba's Nightclub in Wellington were subjected to a barrage of thunderous gothic progrock punctuated by a spectacular psychedelic light show. The sudden transformation of the innocuous "Dizzy Limits" into the notorious "Timberjack" left Wellingtonians a little dazed and confused, but an Auckland visit a few months later proved to be a significant triumph for the reinvented band. The most popular and requested number in our new repertoire was a cover version of Black Widow's "Come to the Sabbat," which made it an obvious choice for a debut single. Released on Ode in 1971, "Come to the Sabbat" may well have slipped by unnoticed had it not been selected as a finalist in the 1971 Loxene Golden Disc Awards. It was the act of this selection that infuriated the establishment and was to fuel most of the ensuing controversy. Timberjack made one appearance on the television music show "Happen Inn" that was not without incident and resulted in the band being permanently banned from the show. An independant video was made for television which was also banned immediately after it's first and only broadcast. 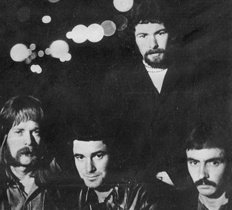 The various Television and Radio bans that followed clinched Timberjack's lasting reputation as "The Nation's Most Evil Band." Timberjack eventually became so banned that within a short space of time we were able to add "New Zealand's most unemployed band" to our growing list of achievements. It all proved too much for some bandmembers and the band imploded suddenly only days away from the date set for the recording of the follow-up single- "Dahli Mohammed." A few weeks after the band "Timberjack" disbanded in 1971, I ran into Brien McCrea -our drummer from the short-lived Leaders- in Cuba st, Wellington. Brien was at Wellington Teachers Training College. He informed me that he and some fellow students at the college were putting together an acoustic jugband and looking for a banjo player. I was actively seeking an alternative to rock music at the time and offered my services immediately. That winter Brien, Neil Worboys, Richard Eagan, Kevin Findlater and myself began putting a repertoire together in an unheated prefab at the Karori Canpus. That eclectic repertoire has been accurately described as "..acoustic jugband music sporting a slightly psychedelic twist.."
Paul Curtis, of Wellington country-rock band "Farmyard," was my flatmate at the time and soon joined the band on tea-chest bass. In the Spring of 1971 the band emerged from it's icy prefab and began performing in the streets of Wellington. Busking was illegal back then. We had to post lookouts for police and always have a getaway truck parked at hand. Our concert debut was to a packed St James Theatre as support band for visiting Australian popstar Russell Morris. By year's end the band was playing to capacity crowds at the Chez Paree and had developed a significant cult following around the Wellington Campuses. This original Lineup folded when Paul Curtis and myself both re-located to Auckland to take up fullltime band work in 1972. Not long after Paul and I departed, Bulldogs Lineup #2 was formed under Dave Luther's management. This new lineup won Television's "New Faces" talent competition and then recorded their version of a song I had given the band (written originally for the Cheshire Katt) entitled "Miss September." Under Dave's management the band became fulltime professional entertainers and dominated New Zealand Television and Radio over the Summer of 1973/74. Brian Haywood left the band in mid-1974 and I replaced him for their last tours. After winning "NZ Group of the Year" and "NZ Entertainers of the Year" at the 1974 Music Awards, (see featurettes #1) Bulldogs Allstar Goodtime Band found themselves with no goals unachieved and nothing left to prove. They formally disbanded by mutual agreement in 1975. "Miss September" was the most successful composition of my overground period, She made it to number two on the NZ national charts, earning herself a gold record for sales on the way and even had a racehorse named after her. When I re-joined the band in 1974 I was commissioned by manager Dave Luther to write another single for Bulldogs and 1975's "Television Mama" was the result. An even later commission from Dave,"Tokyo Rose" was finally recorded by the band in 1993. 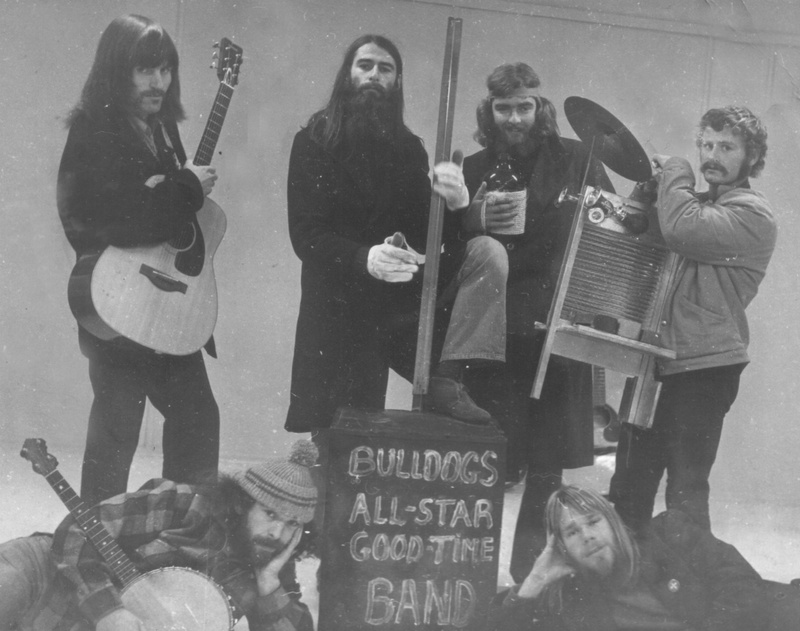 Bulldogs Allstar Goodtime Band was the most commercially successful band of my Overground Period and regularly reforms for charitable reunion tours. Human Instinct, 1974. L to R, John Donoghue, Zaine Griff, Maurice Greer, Martin Hope. The Human Instinct's long reign as New Zealand's leading Underground band stretched from the mid-sixties right throughout the seventies. The band is perhaps best known for it's extensive "..roll call of ace-guitarists.."
In 1972 The Human Instinct's ace guitarist was the Fourmyla's Martin Hope. Martin and I were good friends and shared a mutual interest in acoustic folkblues genre. When a decision was made to expand the Human Instinct into a quartet, Martin put my name forward and I successfully auditioned with the band. My role was primarily 2nd guitarist/vocalist but Martin and I developed a twin-lead guitar technique that was to become the trademark sound of these two lineups. The members of the first quartet were; Martin and myself on guitars, Bandleader Maurice Greer on drums and Neil Edwards -formally of "The Underdogs"- on bass. This lineup recorded one single for the Zodiac Label-"Down the hall on Saturday Night" b/w "Simple Man." Neil Edwards left the band shortly before we flew out to Tahiti on tour in 1973. His replacement on Bass was Glenn (Zaine Griff) Mikkleson from Auckland band "Madison Kate." This second quartet moved to Christchurch in the Summer of 73/74 for a six month residency at "Christies" Nightclub. The album- "The Hustler"- was a rock opera set in the prohibition days of the 1930's and reflected on New Zealand's prohibitive licencing laws at the time of the recording. I contributed two original songs to the album; "Gypsy Dream" and "Johnny Blade." Following the release of the album, the Human Instinct returned to being resident band at Granny's Nightclub in downtown Auckland, replacing "Dragon" when that band moved to Sydney (as they had replaced us when we moved to Christchurch) and remained there until Martin, myself and then Glenn, one by one, left to further our OE's. Bandleader Maurice Greer carried on with a continuing succession of lineups until formally disbanding The Human Instinct in 1980. He then re-formed the group again in the late '90's and every lineup has been uniquely excellent in their own right. My time with the Human Instinct was the most satisfying experience of my Overground period. Two years of great music and great camaraderie in a truly great band. Perhaps their greatest gift to me was to reveal the possibility of an underground career in music, an option I may not otherwise have considered. 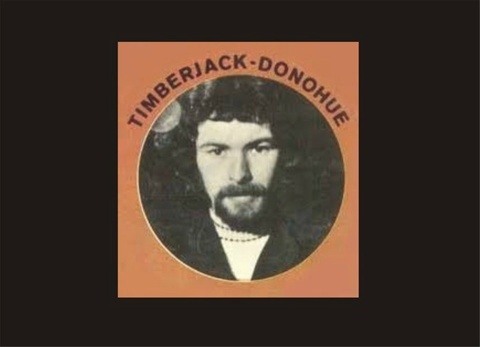 "Timberjack Donohue" was the name given by Ode Records to the recording project that followed on after the sudden demise of the band "Timberjack." 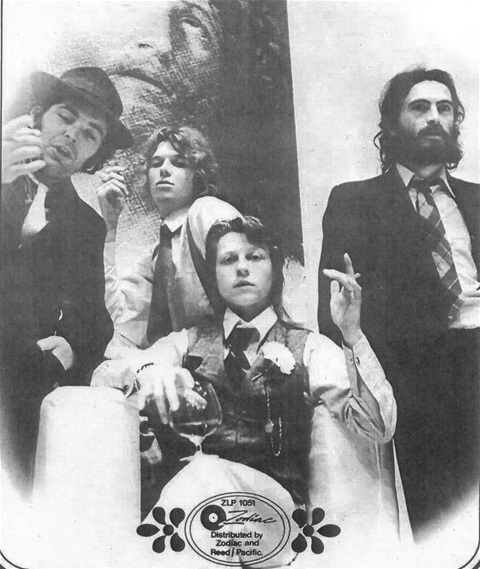 In late 1971 Timberjack (the band) had been booked into EMI Studios in Wellington to record a follow-up single to their hit record "Come to the Sabbat." This recording was to be of my composition "Dahli Mohammed" and sung by Steve McDonald, who had been the band's vocalist on "Come to the Sabbat." Just days away from the recording, the band folded. The band's Recording Manager, Terence O'Neil-Joyce suggested that, as the studio was already booked and paid for, I should complete the recording with session players. This I did, although I had no heart to re-form a Timberjack lineup and no intention or desire to become a solo artist. Ode released "Dahli Mohammed" as a single by "Timberjack/Donoghue" and it was selected as a finalist in the Loxene Golden Disc Awards of 1972. The next year while a fulltime member of The Human Instinct I recorded a solo album of original Folkrock material for Ode entitled "Spirit of Pelorus Jack." I began working on a second album of original material for Ode in 1974/5 while a member of Bulldogs Allstar Goodtime Band. I released four singles and two albums for Ode during my "Timberjack Donoghue" period. (see Discography) Some of these were released under my own name but over time they've all become lumped together under the "Timberjack Donoghue" title. Apart from a 1975 concert appearance in Auckland's Albert Park that's probably best forgotten, I never performed live as "Timberjack Donoghue." I did however make several TV appearances under that name. Aside from the 1972 Loxene Golden Disc Extravaganza, (see Compilations) these were all "Live to Air" performances. The final Overground performance by "Timberjack Donoghue" was on the NZ late-night TV Music Show "Grunt Machine" which went live to air on 26th November, 1975. Immediately following that TV performance I retired from my Overground Career and set out on my Underground journey.